Peru has been recognized as one of the best places to visit if you are interested in gastronomic food because it has a large variety of typical food and local ingredients. 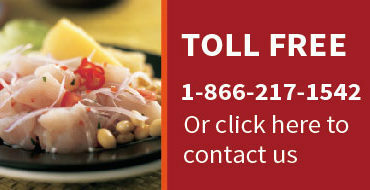 Each region of Peru has different types of food with a specific style and sensation of flavors. 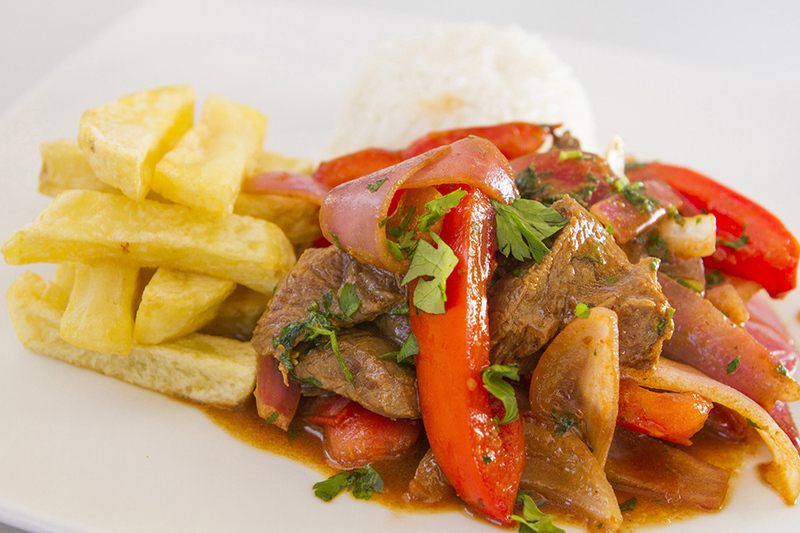 Lomo Saltado: this is a Peruvian food that originally comes from a fusion of ingredients of Chinese food with Peruvian food that dates back to the nineteenth century and is currently one of the most consumed dishes in Peru. The secret to prepare a good Lomo Saltado is to keep the tenderness and the juiciness of the meat as well as the texture of the vegetables. 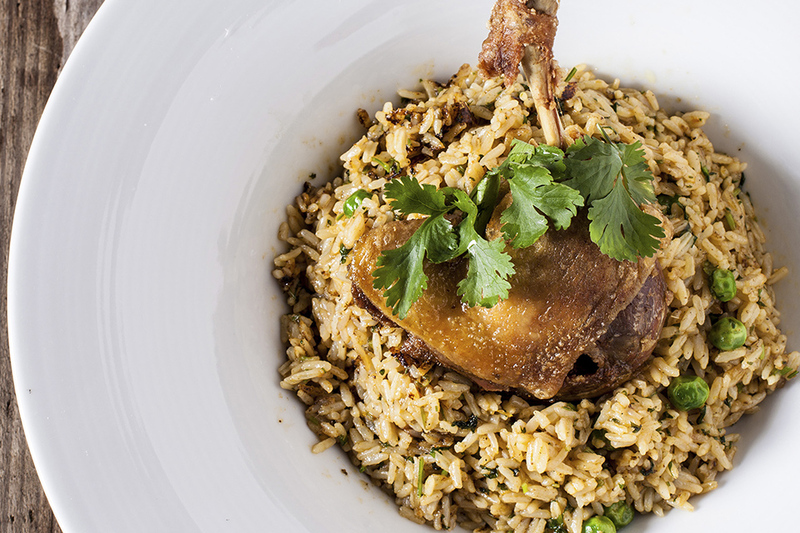 Arroz con Pollo: This is a typical Latin American dish, very common in several countries of the region, but each country has its own version. Main basis of this dish is chopped coriander. Ceviche: This is actually a symbol of Peruvian gastronomy. It’s a dish typical of the coastal region of Peru. 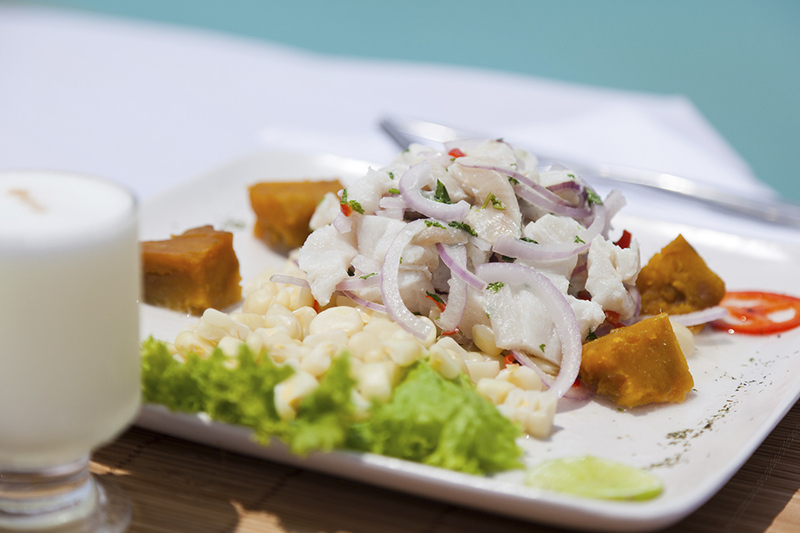 For instance in Lima you can find delicious ceviche. This is one of the most representative Peruvian dishes worldwide, very famous for its traditional taste. 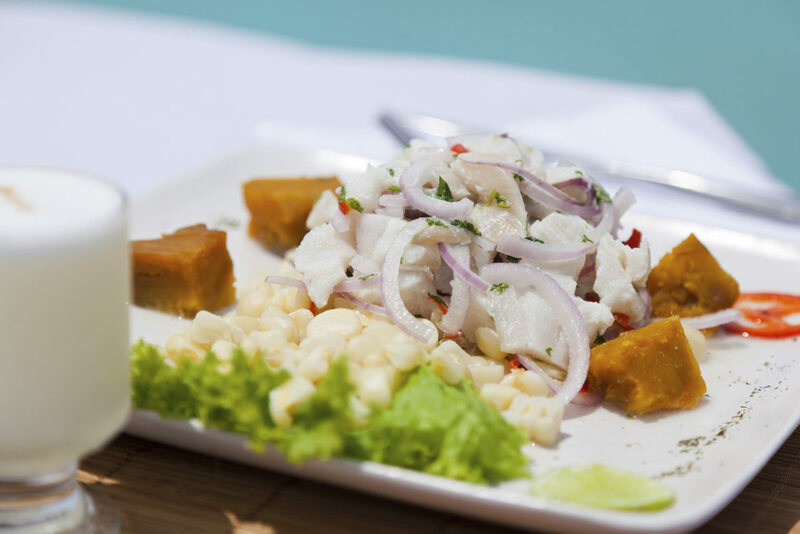 Ceviche consists of bathe chunks of fish marinated in citrus juices, served with sweet potatoes (camote), corn, onion, and topped with chopped aji pepper. It is up to you if you want it more or less spicy. Papa a la Huancaína: this is a delicious Peruvian food from the coast and central highlands of Peru. Usually this food is prepared to be served as a side dish or as an appetizer before the main meal. Anticucho: this is a dish from the Andean region but you can find it everywhere in Peru. It is made of beef heart, often served with potatoes and aji peper sauces. 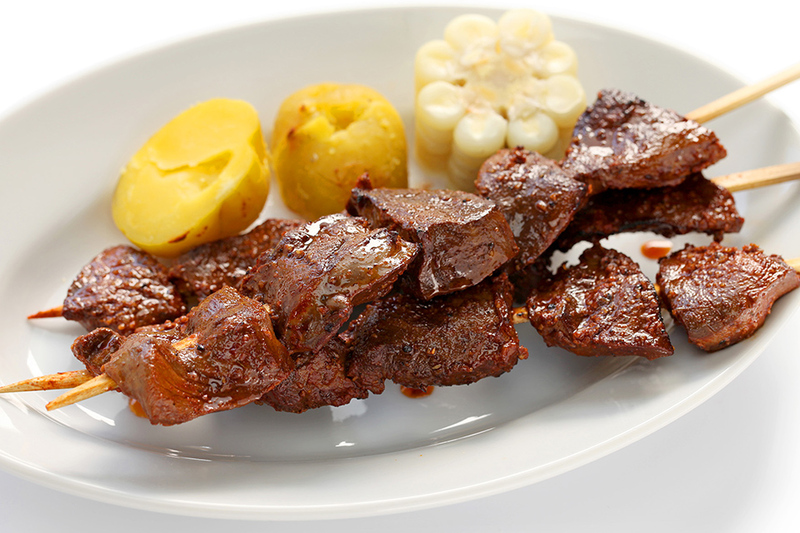 Peruvian usually have anticucho as snack, it is a sort of street food. 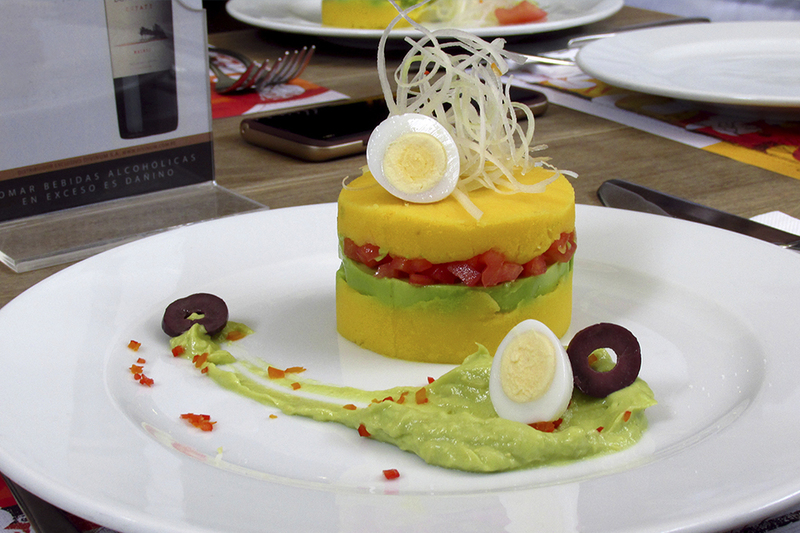 Causa: This is a traditional cold dish, made of Peruvian potatoes, avocado and filled with different kind of ingredients: vegetables, chicken, tuna, prawns and more. It is a delicious combination of flavors and it is generally considered a starter, therefore served before the main course. 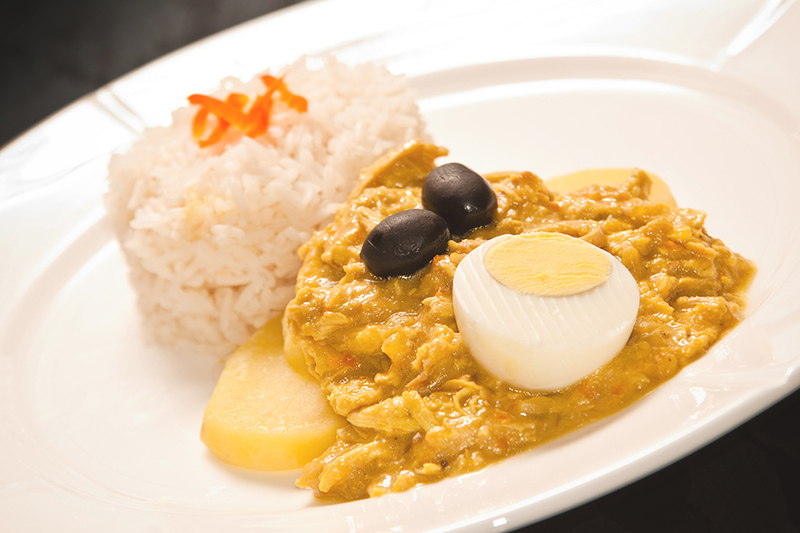 Ají de Gallina: this is one of the most famous dishes of the Peruvian cuisine, that tourists love for their mix of flavors. Spicy and creamy chicken stews served with Peruvian style steam rice that will make you fall in love with Peruvian food. 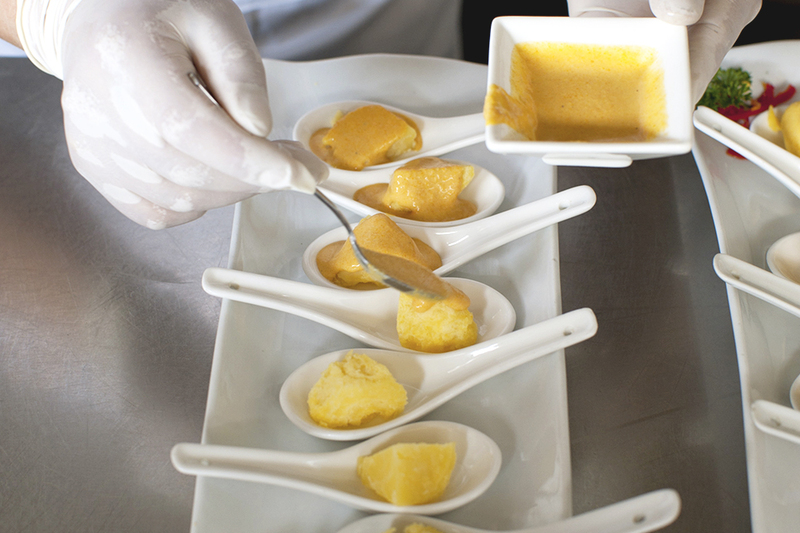 Overall, we can say that Peru has a lot to offer in terms of traditional food. We can organize specific activities aimed to help travelers learning about traditional Peruvian ingredients and most importantly using them to prepare traditional dishes.